What a dramatic turn-around in media over the new Tom Cruise called Valkyrie. It’s a classic on how the media look for controversy and create it if they can’t find any that’s legit. 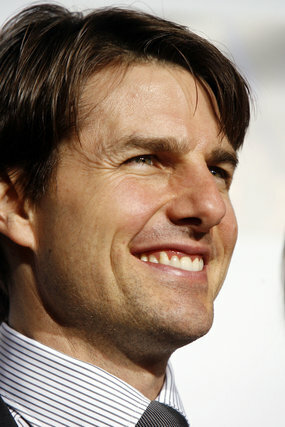 First it was that Germany wants to ban the film because Cruise is playing the hero who attempted to assassinate Hitler. Then it’s that Germany has decided to subsidize the film for millions of dollars. Now, one of the anti-Nazi heroes, Philipp Freiherr von Boeselager, 89, thinks Cruise is perfect for the part and supports the movie. What is amazing to me is that people still buy old, threadbare lies about Scientology. All you have to do is look at what Scientologists do, or at the kind of people they are, or go into a Scientology church, or read on of the books L. Ron Hubbard wrote to have this fall apart as utter propaganda. This entry was posted in scientology, Tom Cruise. Bookmark the permalink.